New Delhi: The all-women marching contingent of Assam Rifles on Saturday scripted history as they came down the Rajpath to take part in the Republic Day Parade in the National capital. The contingent was led by 30-year-old Major Khusboo Kanwar. 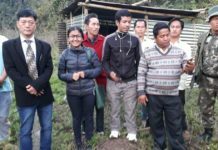 The ‘Sentinels of the North-East’ took an active part in all pre and post-Independence wars. The ‘Friends of the Hill People’ are also custodians of law and order and guardians of our borders. They were effectively involved in counter-insurgency operations in Jammu and Kashmir. Raised as the ‘Cacher Levy’, the force completes 183 years of glorious service to the Nation. “Leading an all-women contingent of the Assam Rifles is a matter of great honour and pride for me. 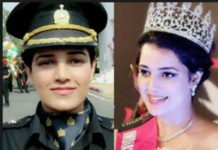 We have practiced very hard…I am a daughter of a bus conductor from Rajasthan and if I can accomplish this, then any girl can fulfil her dream,” Major Khushboo Kanwar said as she brimmed with pride. Major General Rajpal Punia, Chief of Staff, HQ Delhi Area had earlier said that this year’s Republic Day parade will be a dazzling display of ‘Nari Shakti. “This Republic Day parade will be an amazing display of ‘Nari Shakti’ (women power), as many contingents will be led by women, besides an all-women contingent of the Assam Rifles,” he said. Punia, who is the Deputy Parade Commander in this year’s parade, also said that this year’s Republic Day parade has seen the largest participation ever of women. INA veterans will take part in a Republic Day parade for the first time. He added that besides ‘Nari Shakti’ and various thematic tableaux of the three services and different states and ministries, the theme of Mahatma Gandhi’s 150th birth anniversary was reflected in the parade.